*Price per user. Quantity must be 5 or greater. For IT professionals that want to enable mobility, Sophos Mobile Control (SMC) manages and secures mobile devices, content, and applications. We take a user-centric approach, delivering the simplest experience for users and administrators. SMC is the only Enterprise Mobility Management solution using a user-based approach while providing individual file encryption on mobile devices. Stop Bring Your Own Device (BYOD) from becoming an IT nightmare, and choose the delivery model that suits your needs. With Mobile Content Management (MCM), Sophos Mobile Control ensures each document connected to the server remains secure, allowing your users to remain productive by collaborating safely. Gated entry to each file allows organizations to rest assured that their documents and data remain safe—not just in the office, but anywhere and everywhere their users go. You'll also be able to ensure compliance by maintaining control of what apps are being installed. An overview of all mobile devices in your company shows you the device model, OS version and many other properties of the device. Mobile devices are simply tiny computers traveling everywhere with users; hence, mobile devices need the same level of antivirus protection. And Sophos is the only vendor to provide integrated antivirus and Web Filtering for Android devices. Our Mobile Security app seamlessly integrates into your SMC console. Centrally manage your malware protection, keeping your Android users safe from malicious apps, websites and other threats. Our built- in Web Filtering also allows you to prevent your users from accessing malicious websites. Reduce your risk of data breaches by setting SMC to block network access based on the device's compliance status. Automatically detect mobile devices the moment they connect to your network, and block unauthorized users and devices from the network. What's new in Sophos Mobile Control 4.0? Version 4.0 ensures that your data protection doesn't end at the office door. Our MCM gives your iOS users a secure way to access, store and view documents, protecting them from unauthorized distribution. We individually encrypt each file, making sure your data is secure. SMC also integrates with Sophos UTM, Checkpoint and Cisco, keeping your networks protected. If a device is rendered non-compliant, network access is revoked. You can also Filter web access on your Android devices based on categories. Make sure that your user's devices and the data on them—are always safe. 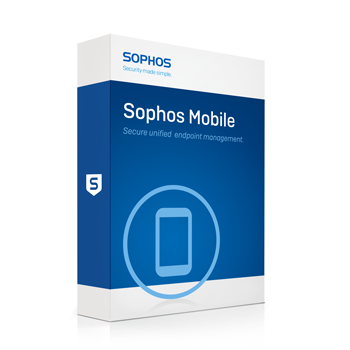 Download the Sophos Mobile Control Data Sheet (PDF).